Despite the sharp exchanges between the U.S. and Iranian presidents at the United Nations, new negotiations may not be so far-fetched as sanctions intensify against Tehran. The clashing rhetoric of the U.S. and Iranian leaders at the UN General Assembly this week seemed to dispel any notion of a diplomatic breakthrough between the two sides. But with another round of tough U.S. sanctions coming back online next month, Tehran may see renewed talks with Washington as the best way forward. In his General Assembly address, President Donald J. Trump doubled down on U.S. charges that Iran is the world’s leading terror-exporting state, saying it has used billions of dollars freed up by the 2015 nuclear agreement to “build nuclear-capable missiles, increase internal repression, finance terrorism, and fund havoc and slaughter in Syria and Yemen.” He vowed to tighten sanctions even further. For his part, Iran’s Hassan Rouhani assailed the United States for abandoning the nuclear deal and said its sanctions are a form of “economic terrorism.” Rouhani denounced the U.S. leadership for its “xenophobic tendencies resembling a Nazi disposition.” The choice of words seemed a bold move for the president of a nation whose supreme leader, Ali Khamenei, routinely questions the Holocaust. There have been a number of reports noting that the Trump administration’s decision to leave the nuclear deal, known as the Joint Comprehensive Plan of Action (JCPOA), has left it isolated at the United Nations. However, its reimposition of sanctions has had some success in cutting into Iran’s commerce. Many global companies have complied, despite the qualms of their governments, demonstrating their belief that doing business with Iran is simply not worth the risk of losing access to the world’s largest market. In the meantime, Rouhani is beset by a collapsing economy and public discontent. His core claim, that the nuclear deal would enable him to revive the economy and attract foreign investment, has all but evaporated. UN rhetoric aside, Rouhani is trying to figure out a way to resume negotiations with the United States. He understands that the best way for Iran to counter the momentum of sanctions is to revive the diplomatic track. Indeed, many Iranians wonder why their government would not pursue negotiations if they could lead to some kind of relief from the sting of sanctions. This will be a difficult task since Rouhani is constrained by a precondition of his own. In comments by him and other officials, Iran seemed to stress that the United States would have to come back into compliance with the nuclear deal, as well as the UN Security Council resolution that endorsed it, before such talks come back online. “UN Security Council Resolution 2231 is not a piece of paper. We invite you to return to the Council resolution,” said Rouhani in his General Assembly address. 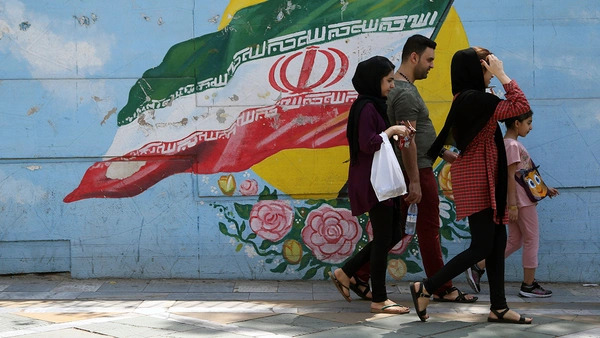 In the days ahead, tensions between the United States and Iran may heat up further. The U.S. sanctions set to be reimposed on November 5, which focus on Iran’s main source of revenue, the oil sector, will freeze more of Iranian money held in foreign banks. This is bound to put more of a squeeze on Rouhani. For now, the Trump team is hoping that such pressures will induce Iran to come back to the table, this time on U.S. terms, as outlined by Secretary of State Mike Pompeo in May. Iran cannot afford a drawn-out confrontation with the United States, but the two countries remain very much apart.